The Bond Oversight Committee held its latest meeting on Wednesday, March 22nd. 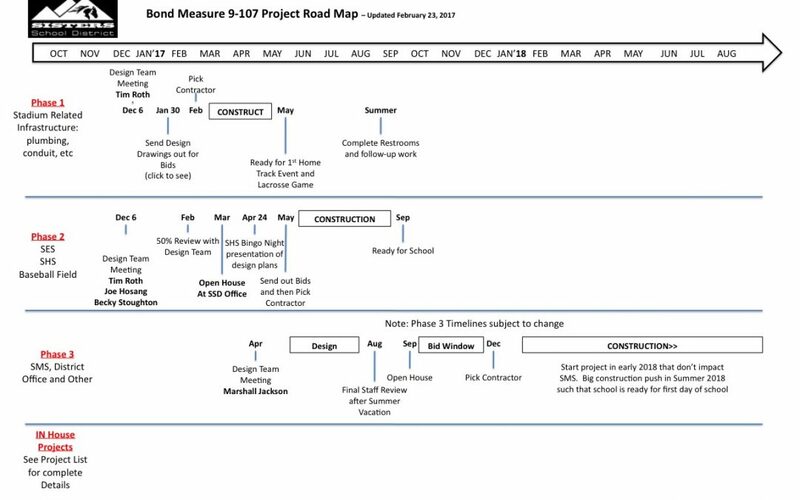 Progress continues on schedule against the active phases and projects. 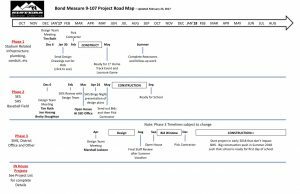 Please see Bond Project Road Map and Bond Project List for details. Phase 2 design concepts will be shared at the April 24th Bingo Night. The next Oversight Committee meeting is Wednesday, April 26th at 5:00 in the District Office.